Its no secret that I like my gadgets. Not too long ago someone had sent me a link to a new appliance being made by whirlpool which would create compost in your kitchen in just 24 hours. A fairly big unit, it chopped up the kitchen waste and then using heat, supposedly did the whole compost thing right then and there. You’d take out the little drawer at the bottom and have your compost ready to dump on your houseplants or in your garden. Now, if I lived in an apartment, might be interested, but am fortunate enough to have a house and have been composting outdoors for 30 years. 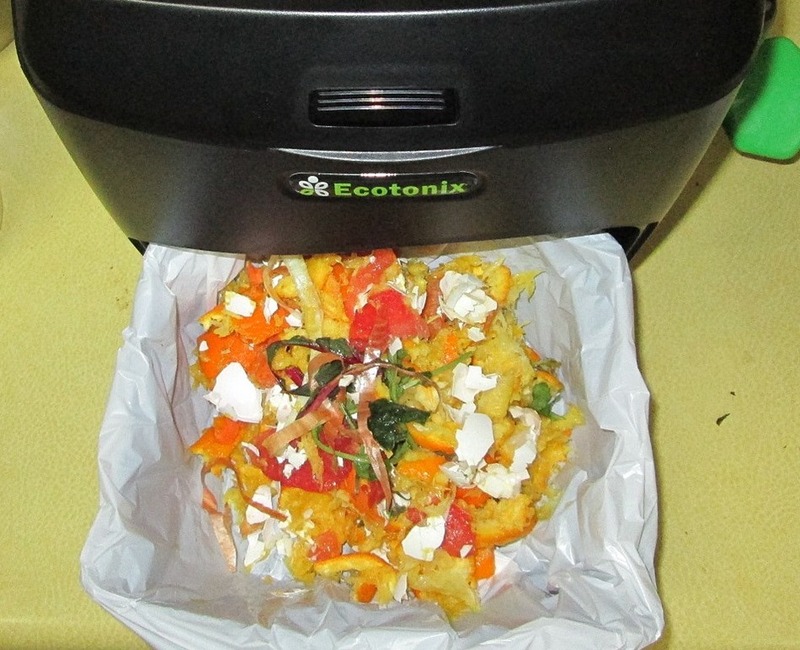 BUT here we are limited to bin composting rather than a pile and it does work differently. Frankly am tired of having rinds and shells show up in the garden a year or two after they were dumped into the bin. So when I saw this gadget, gave it a try and it mostly works. 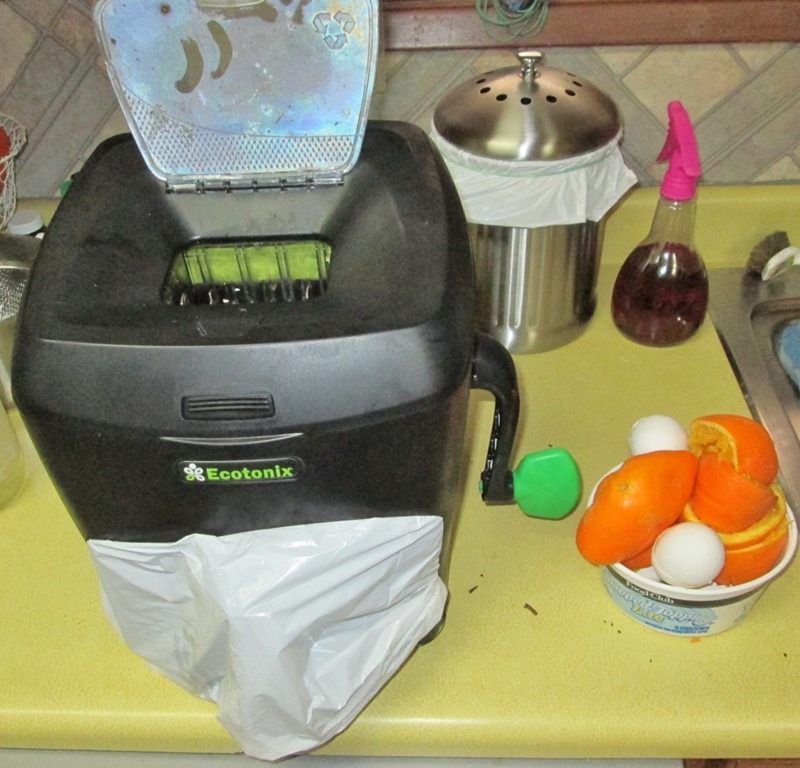 Its called the GreenCycler and it basically just chops up your stuff. The opening isn’t big like your garden shredder and with the hand crank you have to go forward and back to really get it done. The shredder unit lifts out for cleaning. But this is what comes out at the end, ready for the composter, or to just dig right into your garden for on the spot breakdown. They claim it can stand on your counter, but not in my tiny kitchen! You can see how big it is compared to the regular counter top stuff collector in that top photo! Or, they say, it can sit in a cabinet, and again, not in my tiny cabinet. Do have an outdoor area right outside the kitchen door, a little landing by the stairs. Have finally organized it with some shelves to hold the recycle bins and such. Made a cover for this from an old vinyl tablecloth and so its handy but out of the way of the day to day business. Might do the same for my dehydrator to keep it out of the way too. 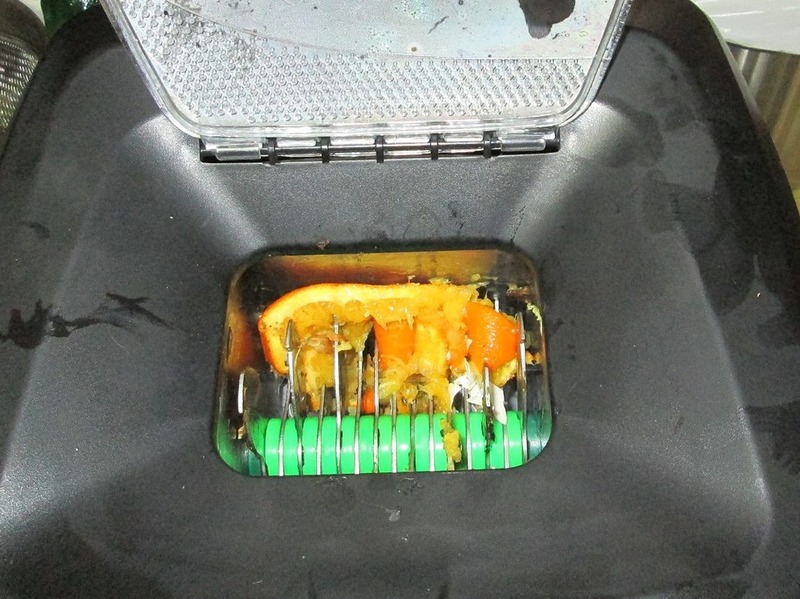 as a PS, the thing comes with suction feet that just don’t seem to do the job to hold it in place while cranking the handle against something a little resistant to the idea, like the orange peels. But, with the top down, just throw an arm over it and lean in to hold it steady does the job. 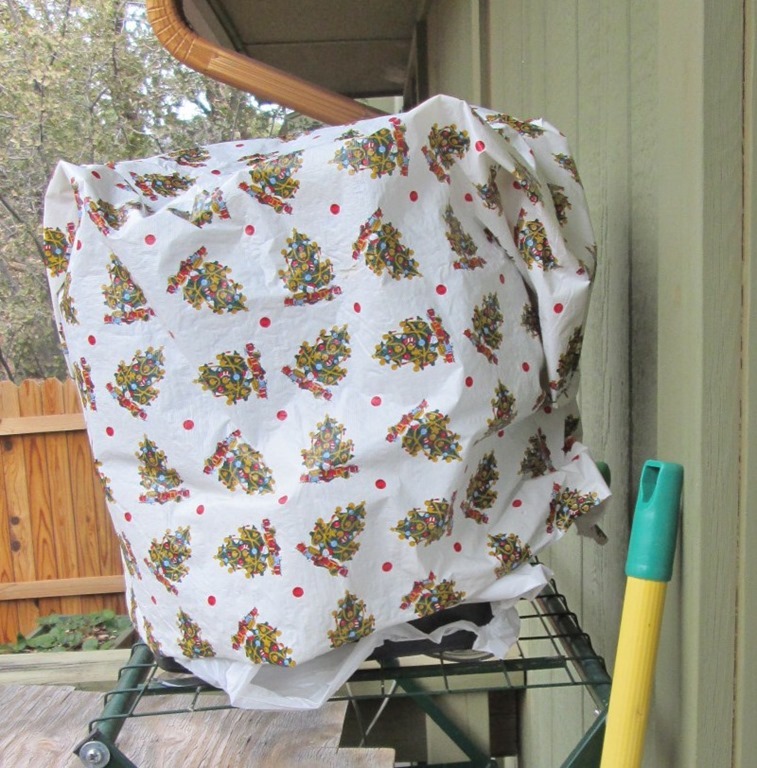 This entry was posted in carrots, compost, gardening, homesteading, organic, prepping, self-reliance, Uncategorized. Bookmark the permalink.